This post is a guest post from Kasey Goins. 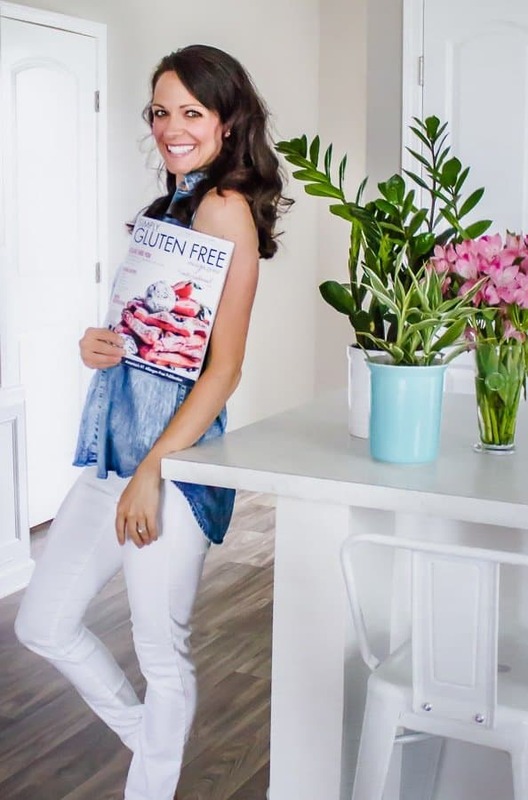 Kasey is a Physician Assistant, Functional Medicine Practitioner, and the author of the blog, Well-Fed Soul. She provides wholesome, nourishing recipes to help women get their health back on track through good food. Grab the free 3 Day Anti-Inflammatory Detox on her site, and follow along on Instagram! Mediterranean White Bean Stuffed Sweet Potatoes are loaded with a zesty white bean salad for an easy, no-fuss, vegan and gluten free dinner perfect for the whole family. I am all about easy, practically zero-effort meals these days. I know what it’s like to come home after a long day at work and still have to get dinner on the table. Lately, I’ve been wanting meals that are quick and efficient, filling, comforting, healthy, and something the whole family will enjoy. That’s just what these Mediterranean White Bean Stuffed Sweet Potatoes are! These delicious (and filling!) Mediterranean White Bean Stuffed Sweet Potatoes are ready in just 45 minutes, and most of that is hands-off time. While the sweet potatoes bake away, the Greek white bean salad literally takes 5 minutes from start to finish. Which gives you plenty of time to do productive things while dinner cooks – like scrolling through Instagram. You can cook your potatoes a couple different ways. Here, I sliced each potato in half lengthwise prior to baking. Place cut side down on a baking tray and slide them into the oven. The other option is to prick each potato a few times with a fork and bake them up whole. When they’re done, simply make a slit through each potato, pull them apart a little, and stuff them to your heart’s content. I made them the second way in this recipe (which also happens to be vegan & gluten free!). Now that’s a meal! The white bean salad warms up as it sits piled high on the potatoes, but feel free to really heat it through on the stove if you want it hot, hot, hot! These Mediterranean White Bean Stuffed Sweet Potatoes would also be amazing drizzled with a quick tahini sauce! These super delicious sweet potatoes are fibrous to keep you full and satisfied. Sweet potatoes and white beans are both high in fiber – they’re complex carbohydrates meaning your body takes longer to digest them. They’re also low on the glycemic index, keeping blood sugar levels more even. Cheers to easy, nutritious meals like this one to keep us healthy, vibrant, and satisfied! Be sure to check out Kasey’s other healthy and delicious recipes on her blog Well-Fed Soul! Wash and scrub each sweet potato; slice in half lengthwise. Drizzle a small amount of olive oil over the cut side of each potato, then place cut side down onto a rimmed baking tray. Bake at 400 F for 40-50 minutes or until easily pierced with a fork. Remove and cool slightly. Add the white beans to a mixing bowl along with the sundried tomatoes, olives, parsley, cilantro, lemon juice, olive oil, coriander, cumin, and salt. Add any other mix-ins you desire. Stir to incorporate. Pile the white bean mixture on top of each baked potato half and serve drizzled with tahini.